How Can Interactive voice response (IVR) Improve Your Business Style? Are your customer support team giving their 100% to customer’s satisfaction? Yes..!! Still missing the hot leads, due to not connecting with the customers on time. I guess, now you are thinking to add more team members to your customer support team. But you need a good budget for hiring more teammates. May I help you in this situation? The virtual receptionist will improve the way to your business style. It will help you to frame a meaningful relationship with your customers. The virtual receptionist is the part of interactive voice response (IVR) system, and an IVR service gives you a great way of connecting with the customers even after the working hours without any interruption. Record a customizable greeting for your customers when they are interacting with the IVR. 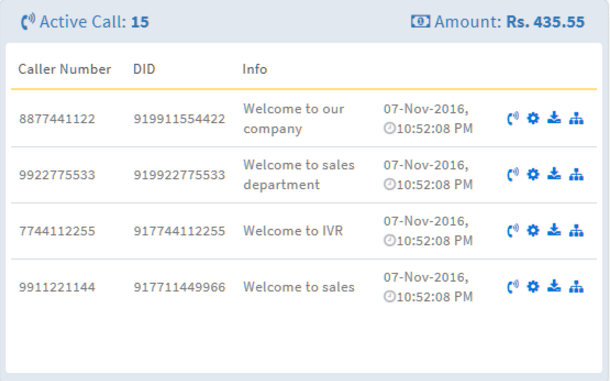 This feature of the IVR is fully customized, you can check and update your welcome messages on a regular basis, for good customer experiences. Live call monitoring panel, help you to analyze all the live activities on your panel. The real-time reports help your business for improving the scripts and processes by taking a brief review of the agent’s performance and customer responses. In this report, all the active calls shown in the panel. Now see the specifications of this board one by one, and learn how it works for you. On the top left corner, the number of active calls visible for you and on the top right corner an amount of your spending will remind you of your budget. Now see the panel the caller number, DID and welcome message info with time will help you to analyze all the scripts and processes. Interactive voice response secure your caller’s data and maintain this data securely from its end. And we can say, IVR system a safe place for storing data. The sheltered record of all your customer’s call will help you to use these caller’s number for the further uses in future. This business information is beneficial for the making new business strategies. A call log report keeps track of all the received calls. Have a look at this call log report, in this report all the required caller details are mentioned. From the caller ID, you can analyze the area from where maximum numbers of the caller are calling to the IVR. You can intensely analyze your customer’s interest in your company’s products and services according to the area. IVR callers peak time help you to analyze your businesses another activity and you can make a better plan for your business growth. Your customers connect with you for getting the perfect solution to their problems. So, let them talk directly with the experts, who can explain the solutions in a better way. The call routing feature of IVR connects the caller’s directly with the experts. IVR inputs helpful in this situation, like after welcoming messages virtual receptionist can guide the callers with the inputs. Suppose you are running a business of providing the business promotion services like email marketing, Bulk SMS, and toll-free number, etc. And for all the services you have the specialist. Now, When your customers call you, your virtual receptionist will ask them, that whom they want to talk. 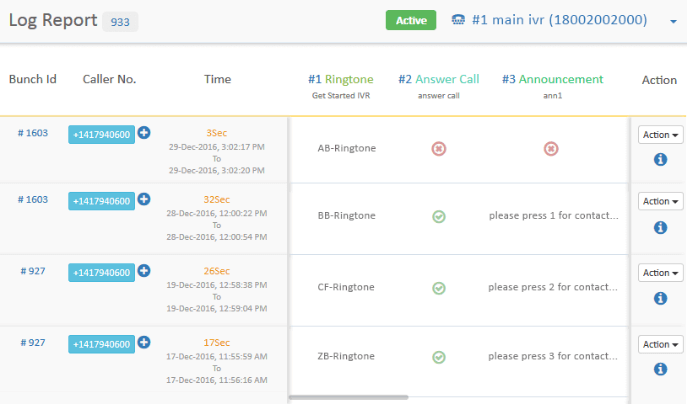 And according to the inputs the IVR route the calls for solving the customer’s issues. So, then if you want to look big in the business and want to build an image of business pro in your industry, Try it now!!! Useful Information thanks @Sarv for sharing such a beautiful article.This article is informative, well-written and very interesting. keep it up the good work.